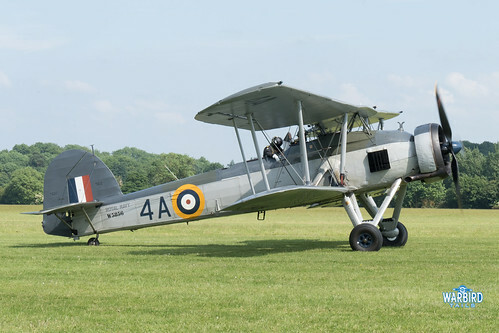 Now in its third year, the Shuttleworth Collection’s collaborative event with Navy Wings is always awaited with anticipation. The first incarnation of this excellent event saw a rare combination of perfect weather and a complete selection of incredible performers and visiting acts. 2017 looked to build on that success but was hit with a series of high profile cancellations through no fault of the organisers. This, combined with leaden skies meant that while it was a great show, it didn’t have the same hit of the first show. This years instalment was certainly somewhere between the two, even with a couple of notable withdrawals (The Fighter Collection’s Bearcat and Nimrod and a visiting Avenger from France), the show still boasted a strong line up. The opening act of this years event was a classic pairing, with a naval twist. 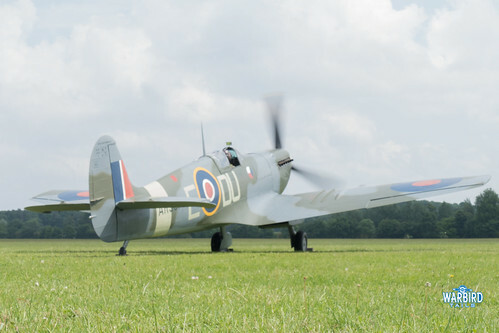 The collection’s Sea Hurricane opened up proceedings alongside the collection’s Mk V Spitfire (in place of the Seafire III which is not currently available for shows) to represent the naval variants of this iconic double act. 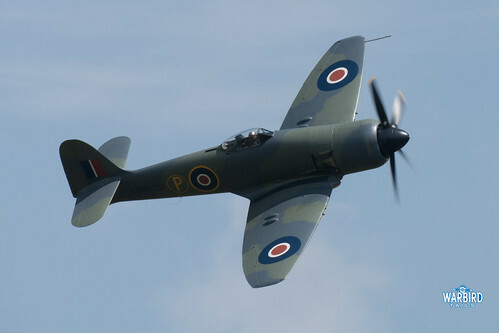 This was also the first appearance at a Sunday show for the Spitfire since its return to the skies. Though now a familiar sight, Jim Schofields first public outing in AR501 really impressed with a high energy, graceful aerobatic routine that exhibited the classic lines of the “baby” spitfire to great effect. Following on from the fighters was arguably one of the country’s finest warbirds, Anglia Aircraft Restoration’s Hawker Fury ISS, representing the prototype Sea Fury. Incredibly this was one of two Centaurus powered Fury variants in the display and was flown with typical style by Pete Kynsey. Pete would later impress again, this time in the Fighter Collection’s Corsair, which notably arrived mid show and landed on, the first time this type has been seen on the grass at Old Warden. Another Duxford based machine impressed in the afternoon when Plane Sailing’s Catalina made a significant impression on the small confines of Old Warden, building on its impressive reputation from last years outing. A dynamic Anson and Rapide pairing followed, continuing the multi-engine theme along with a dramatic series of passes from the Avro Lancaster. 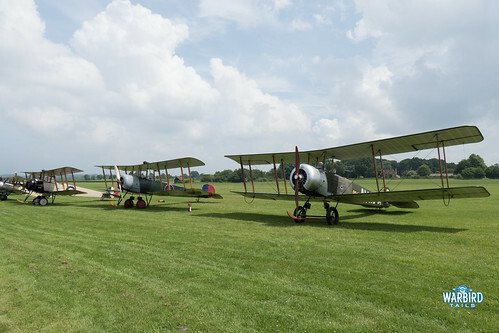 A consistent theme of the Fly Navy events has been a Hawker Biplane gathering. 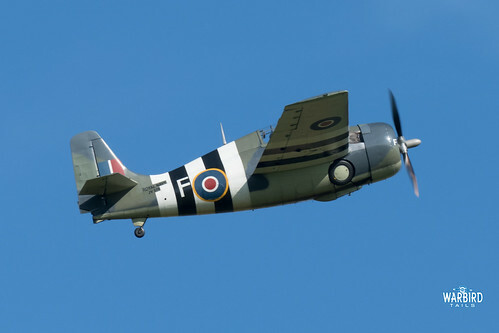 This year was a little light on airframes, with only the Demon and Historic Aircraft Collection Nimrod displaying. 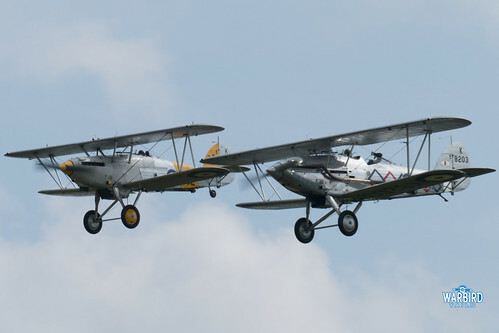 That being said, watching a pair of these silver winged designs wheeling around the skies over Old Warden will never get old. A wonderful pair of kestrel engines purring across the grass has been a highlight of each Fly Navy show. Being a main partner in the show, Navy Wings brought two of their own aircraft to the display and a number of associates. The Fairey Swordfish performed with Kennet Aviation’s T6 Texan (a Navy Wings associate machine) before putting on a solo performance. 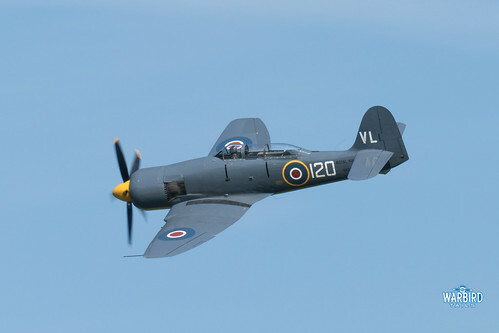 The second display from the Yeovilton based collection was a welcome return from Chris Gotkë in the Sea Fury T20. This display built on the impression made by the Fury ISS earlier in the afternoon with a classic account of high energy warbird aerobatics. A Navy show in 2018 wouldn’t be complete without a significant world war one contingent. 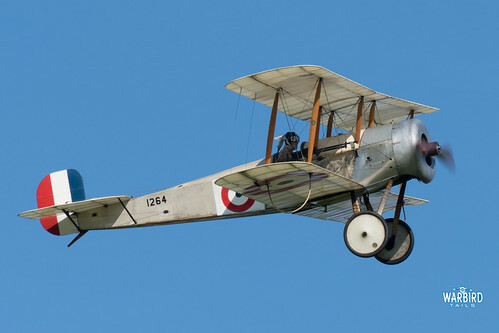 Notable performances came from the Sopwith Camel, in one of its early public appearances, along with the wonderful Bristol Scout replica. 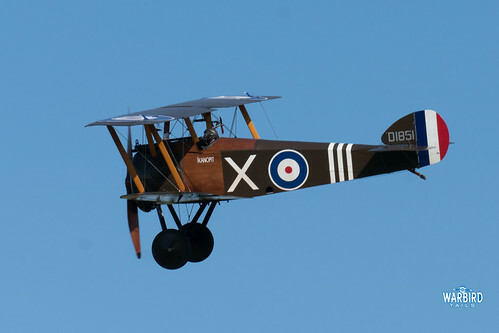 A wide range of WW1 aircraft performed in a fitting nod to the Royal Naval Air Services significance in the early days of aviation. The finalé of the main show comprised of a WW2 fighter sequence. 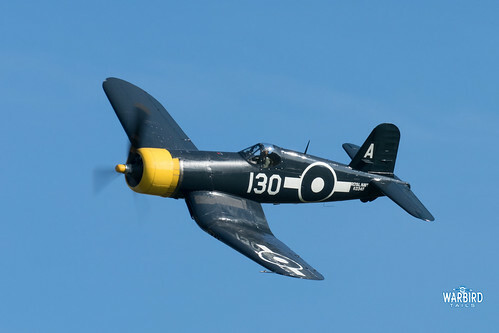 The Fighter Collection’s Corsair was joined by Stu Goldpink in the Fighter Collections Wildcat, which flew a polished close, aerobatic routine. 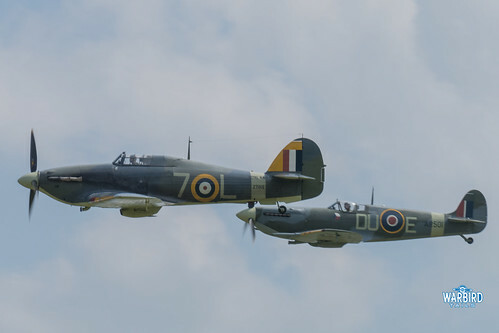 After their respective displays the american pairing were joined by the Spitfire, Sea Hurricane and Demon for a series of passes in a race-track pattern. 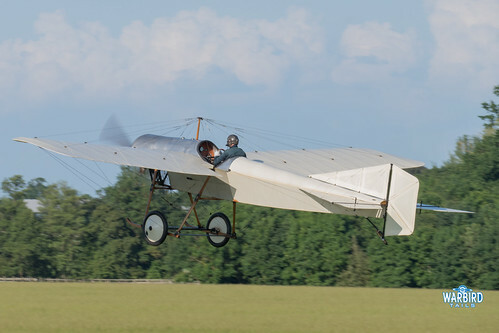 As always with Old Warden, the “icing on the cake” was a full compliment of Edwardian machines. The familiar tone of the Deperdussin calling across the airfield as another Fly Navy was brought to a close. 2018 saw Fly Navy get very much back on track with some memorable moments and glorious weather. Hopefully with a little more luck regarding serviceability 2019 can be another excellent show. 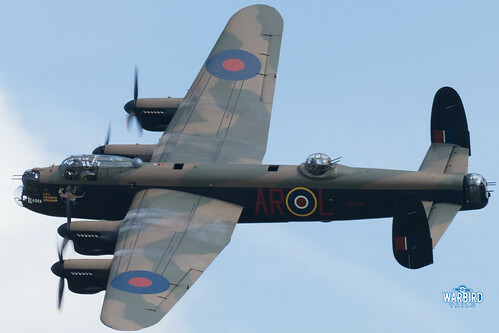 As a side note, it would be wonderful to see all three Avro 504s that were on static for this show in the air together. Perhaps an idea for 2019?